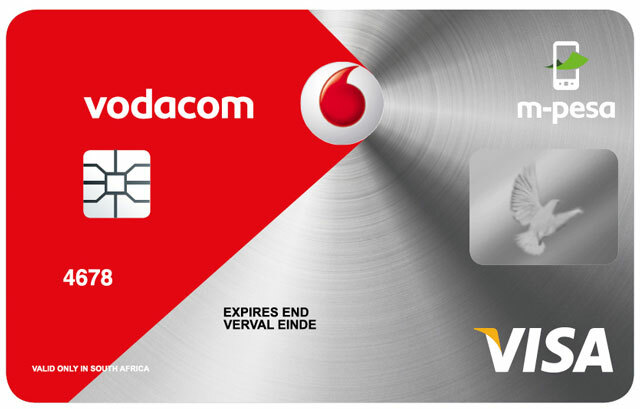 In its annual report for the year to end March 2015, Vodacom tries to be frank about the re-relaunch in South Africa of M-Pesa, the mobile money transfer service that has fast become the de facto banking system in East Africa. This success in Kenya (and neighbours Tanzania and Uganda) has seen practically every mobile operator in any developing market worldwide salivating at the opportunity, dog-headedly trying to transplant something that worked somewhere for specific reasons to other far-flung corners of the globe. Vodacom has tried launching M-Pesa in South Africa thrice now. I could call out the ludicrous targets (at one point) of 10m customers in three years, but I won’t. Its most recent effort hasn’t done much better than the previous attempts. Arguably, it’s fared worse. The one million number is meaningless, so ignore that. It’s one of those “lifetime” numbers of people who may at some point possibly have registered for something called M-Pesa, whether they realised they had done so or not. Dig a little deeper though, and even that embarrassingly low number of 76 000 is found to be a stretch. In a footnote on page 69 of the annual report, Vodacom states that 76 000 is the “number of unique customers who have generated revenue related to any M-Pesa activities in relation to M-Pesa revenue in the past 90 days, of these 42 000 have been active in the past 30 days in South Africa”. Now, this 76 000 number is the one that’s been repeated by the company in its annual results Sens release to the market, in the accompanying presentation and even in interviews surrounding the announcement. This reminds me a lot of the old “active Sim” double-counting trick from years gone by when Sim cards were counted as long as they’d been on the network at some point in the last 90 days. How useful is a mobile money transfer service (or, indeed one that facilitates payments) if it’s not used once a month? Until the end of June, Vodacom would reward customers who bought airtime with M-Pesa with 10 times that amount in talk time. So, a customer buying R12 worth of airtime would get 120 minutes of voice minutes. And M-Pesa is a service that is in fourth place on its self-service USSD menu, higher than “Promotions”! Remember, this is an operator with 32,1m active customers. So, 76 000 is 0,24% of its subscriber base; 42 000 is 0,13% penetration. Laughable. How does the executive in charge of this sleep at night? But, I suppose this is “group strategy”. Does anyone really believe Vodacom’s assertion that M-Pesa is “gaining traction”? Can you imagine the cost of acquisition of those 42 000 customers? Even at 76 000, Vodacom must be spending tens of thousands of rands (hundreds?) per customer. Overall, the group claims 8m M-Pesa customers, an increase of 34% from a year prior. That would be across all its operations, in Tanzania, the Democratic Republic of Congo and Mozambique. Again, a footnote (this time on page 74) “clarifies” that the 8m is the “number of unique customers who have generated revenue related to any M-Pesa activities in relation to M-Pesa revenue in the past 90 days, of these 5,6, have been active in the past 30 days in ‘International’”. So, even that 8m number is somewhat “optimistic”. But it gets better. In its quarterly update to 30 June, Vodacom says “M-Pesa revenue grew 16,1%, underpinned by strong M-Pesa customer growth of 18,1% to 7,8m”. So the 8m is now 7,8m? At least the 30-day active figure remains 5,6m. So much for “M-Pesa continuing “to gain traction in all our markets, fuelled by expansion in the distribution channel and a growing ecosystem”. Vodacom’s eyes are surely transfixed on the (relative) success in Tanzania, where it launched in 2008 (likely before this was “strategy” defined or imposed by Vodafone). In that market (adjacent to Kenya, remember), M-Pesa accounts for 22,6% of service revenue. Service revenue in its “International” segment (it does not break the numbers up per country) was R15,3bn in the last financial year. The “Other service revenue” category (again, across all markets) was R1,6bn. It would be safe to assume that around (at least?) R1bn of that is M-Pesa in Tanzania. That’s a big number … no wonder it’s enduring relaunch after relaunch. The major problem facing M-Pesa (and similar services) is that we are a country with surprisingly high financial inclusion. Various studies put it at anywhere from 75% to 85%. Yes, seriously. So we don’t really need a mobile money platform that solves this problem in another context altogether. The other big problem is that Vodacom doesn’t know what it wants M-Pesa to be in South Africa. All of the obvious problems have been solved. So, it might be useful for remittances in certain population segments. It might be useful for payments, again in certain contexts. But its messaging to a disillusioned customer base that has heard it before is unclear. It’s trying to be everything to everyone. There’s no clear “job to be done” and that’s evident in the marketing. It’s a “mobile money solution”, it’s a “mobile money transfer service”, it’s a “mobile money wallet”. It’s “not a bank account”, yet it’s a place to “store money safely” and with a Visa card, you can “swipe and buy”. I’m not making this up — this is how Vodacom has described the service in this most recent relaunch. Vodacom freely admits it’s paid its school fees. Elsewhere in the annual report, it claims it “revamped” its “old M-Pesa to cater for the South African market. We are optimistic about our proposition as we have resolved a number of issues that inhibited take-up previously. It fixed a footprint problem too, and now says it has “8 800 points of presence — 10 times more than when it first launched M-Pesa”. 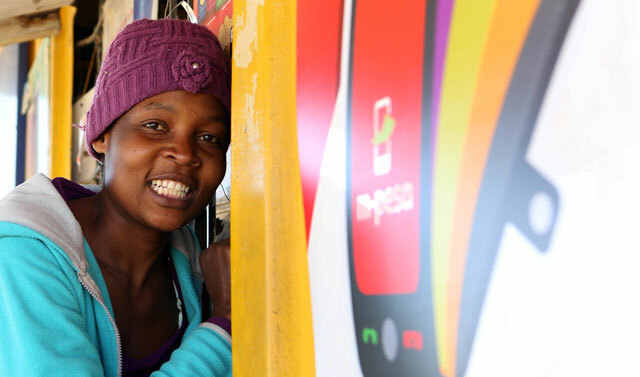 M-Pesa, says Vodacom, is now “integrated into the banking system and retail points of sale. Customers can make online transfers to M-Pesa from any bank and also have the option to obtain a Visa card linked to their M-Pesa account. The operator also “designed an M-Pesa voucher similar to an airtime voucher, which customers can buy from stores and load onto their accounts”. It “increased loyalty offers such as bonus airtime to incentivise behaviour”, and it says its “proposition of free to get, free to keep and free to load resonates well with our customers”. Many of these seem obvious enough to have implemented the first time around. But some of these scream “presentations-from-management-consultants”. The big question is why Vodacom is obsessed with somehow making M-Pesa work in South Africa. Either Vodafone suits conceived a priority list (read: criteria for the calculation of bonuses/incentives) for the local operation that includes M-Pesa, or Vodacom executives are stubbornly pursuing this dead horse to prove something to someone. As a shareholder, I’d be very worried if it was the latter. My hunch is that it’s the former. After all, every emerging market is the same, right? Murmurs in the market suggest that this time, Vodacom might just have enough data to prove that no amount of “relaunching” and “redesigning” is going to make customers use a product they clearly don’t want, or, more importantly, need. Marketing budgets for M-Pesa sound like they’ve been trimmed back “substantially”. Then again, nothing like a very tough trading environment (complete with depreciating rand, higher electricity prices and anaemic economic growth) to focus priorities. Exactly. We also have robust banking regulations which means that to supply banking services, one either has to register as a bank (and adhere to the requisite and fairly onerous liquidity regulations ), or partner with an existing bank – in Vodacom’s case they’ve decided to partner with Bidvest bank. So the question is, what value does Vodacom add to the banking value chain? Why should I bank with Vodacom when I can do it with any of the existing banks? I can still use my mobile phone for transactions with most banks, I can get a debit card from any, so what is the reason I should use Vodacom… or MTN for that matter? >>But it gets better. In its quarterly update to 30 June, Vodacom says “M-Pesa revenue grew 16,1%, underpinned by strong M-Pesa customer growth of 18,1% to 7,8m”. >So the 8m is now 7,8m? At least the 30-day active figure remains 5,6m. The M-Pesa mobile money product was a solution by the Kenyan people that solved problems that related to their situation in Kenya and when you “Maak ‘n plan” given a particular problem that you’re faced with… chances are that what you come up with will indeed be a solution that works for you in that environment. For M-Pesa to be as successful in SA as it has been in Kenya then we would also need to import all the financial problems faced by the Kenyans – but our situation is considerably different; and as such M-Pesa isn’t going work the same way that it worked out in Kenya or Tanzania; however, that doesn’t mean that there’s no place for mobile money in the form of a M-Pesa offering right here in SA. Were did M-Pesa find it’s beginnings…??? on the ground with the ordinary folk that made a plan to solve problems which they were faced with; not with large marketing budgets from Vodacom being spent on ‘FAIL campaigns’ with agencies. The same needs to happen here in Mzansi. 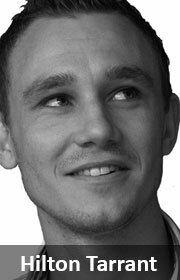 Vodacom should focus their M-Pesa go-to-market strategy on solving transacting problems being faced by people on the ground. It’s the people on the ground that will chart the strategy that will lead to M-Pesa being successful in Mzansi not some expensive FAIL marketing campaign dictating to them why they need to have M-Pesa.